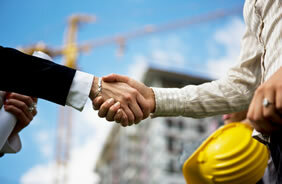 We provide Design-Build, General Construction and Construction Management services. We have a highly trained staff of construction professionals, who bring years of knowledge and innovative solutions to every project. We can design and build your project or construct your project using a design you developed. We also provide cost efficient construction management services utilizing a proactive approach to prevent unforeseeable: delays, scheduling issues, change orders and design errors. At every phase of planning, design, construction and start-up, our specialized teams work with clients to address their unique needs. Combining seasoned personnel, specialized expertise, and state-of-the-art information management systems, we have established a track record for delivering successful projects on time and within budget.